Background: Southern California's largest estuarine wetland encompasses a federal refuge and state park, and is one of twenty-three national estuarine research reserves. The Tijuana River Valley's tidal sloughs, beaches, uplands, and riparian corridors play host to nearly 400 bird species, including six endangered birds. Many species of ducks and terns seek estuary waters that are home to little blue herons, reddish egrets, and other wading birds. The uplands offer reliable views of desert cottontails, California ground squirrels, coyotes, songbirds, and birds of prey. Tijuana Estuary Visitor Center provides enviromnental educational facilites and various programs including bird walks and other events. 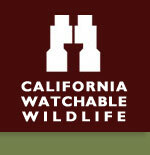 The Habitat: Visitors to the refuge will see some of the most important habitat remaining on the California coast. Tidal salt marshes are home to a diversity of wildlife and plants adapted to live within this environemnt. Tijuana Slough's habitats include open water, tidal salt marsh, beach dunes, riparian, vernal pool and upland surrounded by neighborhoods. The Experience: Located where the Tijuana River meets meets the sea, this is the only coastal estuary not bisected by roads and rail lines. Over 370 species of birds have been recorded at the refuge. Wildlife and Where to Find It: Belding's savannal sparrows, California least terns, light-footed clapper rails, and least Bell's vireos-all endangered-nest here. Peregrine falcons winter at the refuge, and brown pelicans are summer visitors. Tidal flats sustain willets, dowitchers, marbled godwits, and sandpipers, snowy plovers nest near dunes inhabited by uncommon globose dune beetles. View wildlife along refuge trails and at the visitor center. Visitors can also walk along the beach shores and see hundreds of California brown pelicans feeding at the river mouth. Viewing Tips: Wading birds, birds of prey, shorebirds, and small mammals are seen year-round. High probability of seeing songbirds in spring and fall, terns from May to September. Look for rails in summer, pelicans in summer and fall. Waterfowl are abundant in winter. Site Notes: Visitor center at refuge and state park. How to Get There: From San Diego, take Interstate 5 south to Coronado Avenue West exit. Drive to Third Avenue and turn left. Continue to Caspian Way and turn left to visitor center. For Borderfield Park, drive south on Interstate 5 to Dairy Mart Road and turn south. Drive about 1 mile to Monument Road, turn right to park.